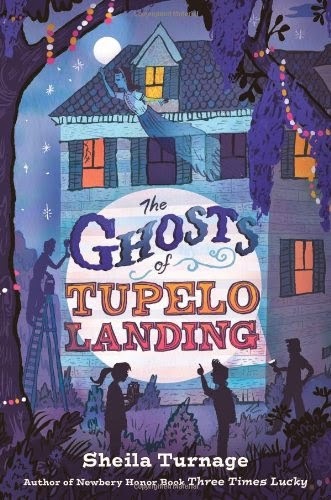 When Miss Lana makes a rush decision at an auction, she becomes co-owner of the old, dilapidated Tupelo Landing Inn—with its own resident ghost in the small print. The Desperado Detective Agency (aka Mo and Dale) decide to add paranormal investigations to their job description. Also, an interview with a ghost would be great for their history assignment (extra credit). They end up discovering that "ghosts" take on many forms, whether it's a spirit haunting a building or memories haunting someone's past. I love this book. A positively chilling ghost story, but with enough humor to make me laugh out loud. Like, a lot. Have I mentioned that I love this book? The southern wit, amazing characters, and intriguing mystery—just like Turnage's first book that I reviewed—make it a favorite. I'm so glad Turnage was able to repeat her first impressive performance. And with the introduction of some new characters, Harm in particular, that continue to give the story real depth and believability. I love this book. Go read this series.